Discussion in 'Radicons Customs' started by sideFX, Aug 21, 2011. Wasn't sure where else to post this but we're working on putting together an upgrade set for Generations Blurr. At this point we are still working out some of the fit and details of the set but things are coming along nicely. Here is a mock up of what the set will pretty much look like when it's done. We're calling it the Blitz upgrade set and it will include a head, gun, sword, and shield. Please post any feedback that you may have for the set. We've got some other kits in the works that hopefully we'll be able to share soon. I might do it just for the shield! Very interesting - the head is particularly good....will follow this project! Looks good, but I love my IDW inspired head. I really like the weapons. Oh wow. This looks really good! I love the look of that sword and shield. The head and gun look really, really nice too. Thats hot I would like to own a set. My opinion is some things are just not meant to go all IDW! Blurr's noggin, I think is one of them. I know why they did it, and it does work, but I like the O.G. Better. The gun/bayonet/shield combo is awesome. I look forward to a set. Does the Shield have any basis in the fiction? I haven't been up on the comics for a while. I don't think the head goes with that body. Fine standalone, but the body is made for the IDW head. Weapons are okay, but they're just regular guns. I like it and would definitely buy it. 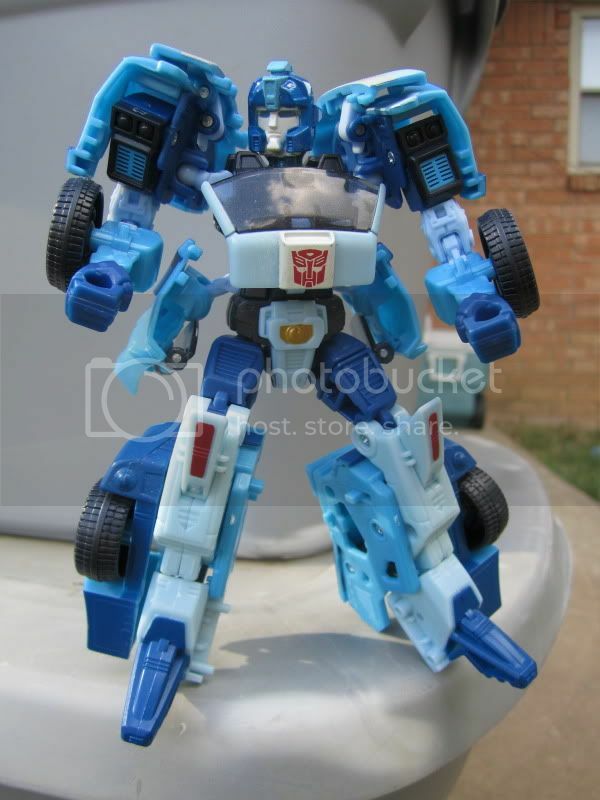 Although the could could be more IDW like or mabye even like armada blurr's head, i think that would be awesome. I like the weapons, but I prefer the IDW head. Maybe make the head a separate item? I think the head is a nice g1ish update and fits well. And I love the Bayonet. I kinda wish the gun was more g1 but I really like this version as well. Or mabye a Target Master. OMG!!! I love it!!! Do it!! Can we get a close up of the head? I can barely see it in the pic. Not trying to derail the thread but how hard was that to swap those heads?